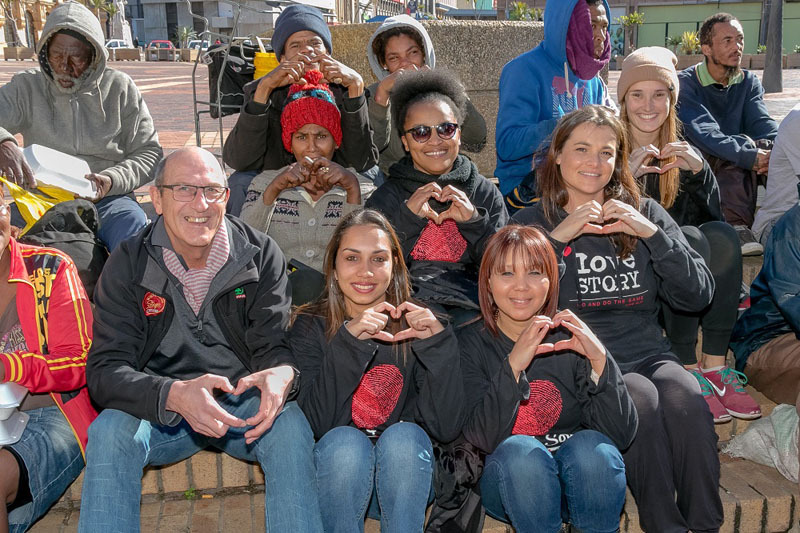 SPAR Eastern Cape joined hands with Love Story to continue their initiative of assisting those in need when they hosted their second City Feed Lunch in Fleming Street near the City Hall in Port Elizabeth today. 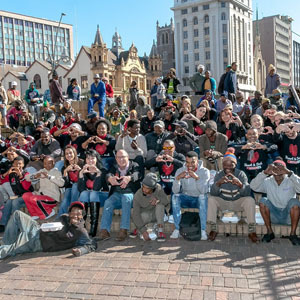 As part of their commitment to celebrating Mandela Day, the retailer poured their resources into supplying lunch for about 200 homeless people, as well as providing a few treats. “We offered tea and coffee for those who were there on arrival and also handed out cupcakes as dessert to try to ensure it was a memorable occasion for them,” said SPAR Eastern Cape sponsorship controller Roseann Shadrach. 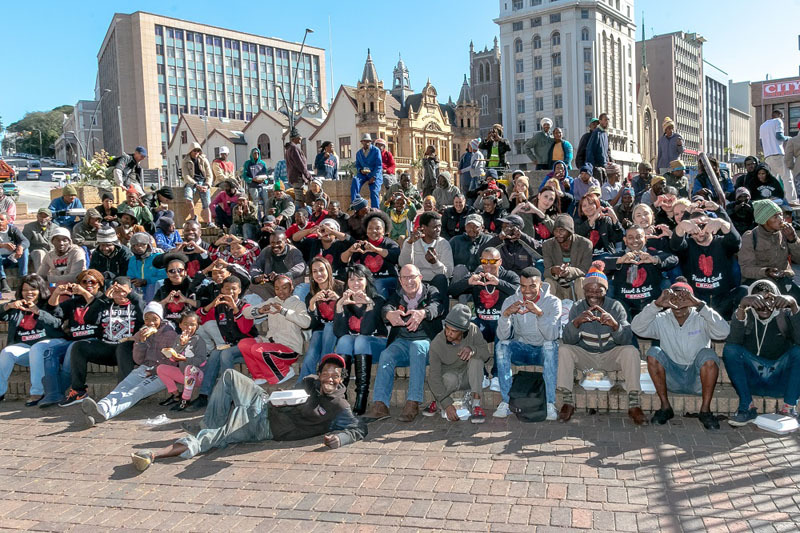 She added they were introduced to the concept by Elaine Watson of Love Story, an organisation which manages feeding schemes in the city centre each day of the week. “The City Feed is a perfect opportunity to give back to the community because we are able to provide the ingredients for the meals, as well as volunteering our services to make sure everyone is looked after,” she said. Shadrach said Love Story prepared the meals while they provided volunteers from the SPAR Eastern Cape distribution centre to serve all those who attended. “We are reminded on the day of the importance of helping others. We use our staff members to serve them their food so they don’t stand in queues. However, she said it was not just about fulfilling an initiative for Mandela Day.